This will probably come as no surprise to you, but college is expensive. 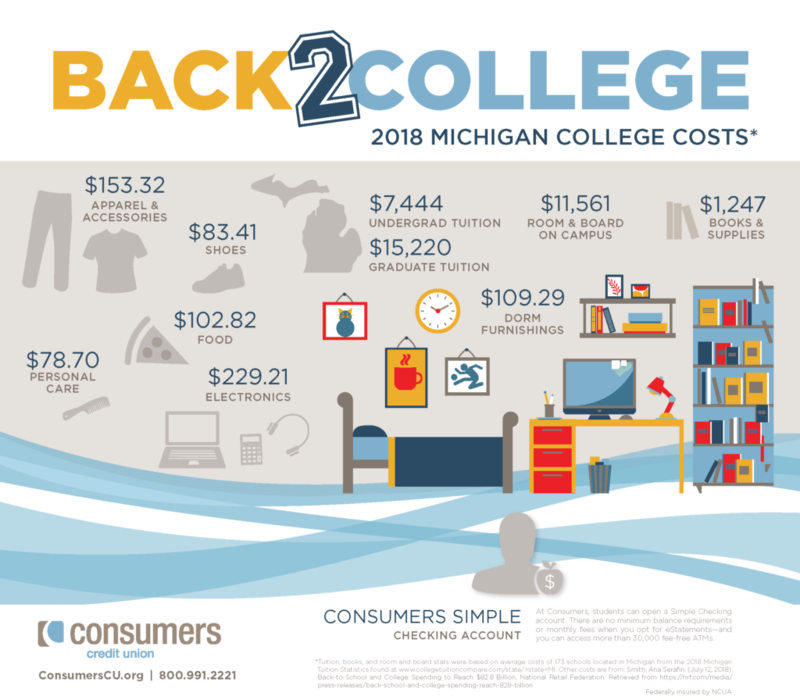 The latest Consumers infographic just scratches the surface of higher education costs here in Michigan—not to mention what students will additionally pay for entertainment, transportation or the laundromat. This is your chance though, as a parent, to coach your college student on how to properly manage their finances, set budgets and find savings where they can. 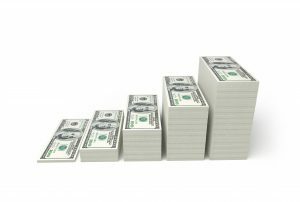 Choosing the right financial institution to help facilitate your student’s cash flow is important, too. 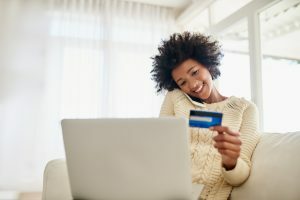 At Consumers, students can open a Simple Checking account. There are no minimum balance requirements or monthly fees when you opt for eStatements. And your student will be able access more than 30,000 fee-free ATMs within the CO-OP network. For those heading out of the area (or even studying abroad), Consumers’ service and technology travels with them. Members always have 24/7 access to their account with Online Banking, Voice Access and Text Banking options. Through our Consumers Mobile App, they can easily check balances, pay bills, deposit checks and receive money transfers in case of emergencies. Learn more about Consumers Credit Union checking account features.